As America's particle physics laboratory, Fermilab operates and builds powerful particle accelerators for investigating the smallest things human beings have ever observed. About 2,300 physicists from all over the world come to Fermilab to conduct experiments using particle accelerators. These machines not only drive discovery, they are themselves the subjects of research and innovation. Scientists and engineers at Fermilab actively advance accelerator science and technology, not only to help unravel the mysteries of matter, energy, space and time, but also to help solve some of society's most important challenges. The PIP-II project is an essential upgrade of Fermilab's particle accelerator complex and includes the construction of a 215-meter-long linear particle accelerator. 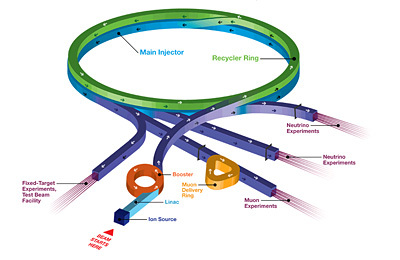 It is the first U.S. particle accelerator project with significant contributions from international partners. 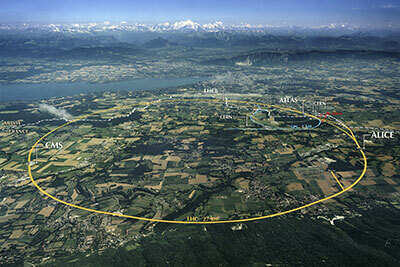 Research institutions in France, India, Italy and the UK will build major components of the new particle accelerator. PIP-II's high-intensity proton beams will provide a flexible platform for the long-term future of the Fermilab accelerator complex and the U.S. accelerator-based particle physics program. It positions Fermilab to be the world leader in accelerator-based neutrino research. From blueprint to construction, Fermilab scientists and engineers develop particle accelerators to produce the beams needed to take particle physics to the next level, collaborating with scientists and laboratories around the world to help build these complex machines. Researchers build accelerators to be efficient and robust along every step of the particle beam's path, from the time it's born to its termination on target. Taking accelerator technologies to the leading edge of research, new particle physics discoveries are that much more within reach. 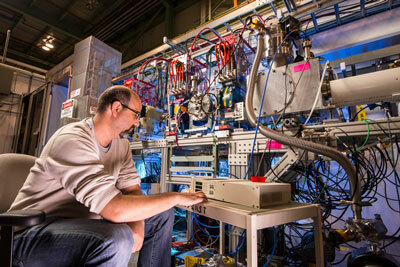 Learn more about accelerator science and technology at Fermilab. 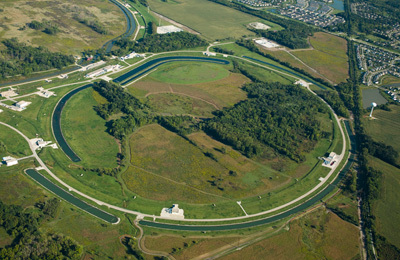 Fermilab's accelerator complex comprises several particle accelerators and storage rings. It produces the world's most powerful, high-energy neutrino beam and provides proton beams for a variety of experiments and R&D programs. Under the PIP-II project, Fermilab is upgrading its accelerator complex to deliver high-intensity neutrino beams and to provide beams for a broad range of experiments, including the international, Fermilab-hosted Deep Underground Neutrino Experiment. Learn more about Fermilab's accelerators and how they fit into the laboratory's accelerator complex. 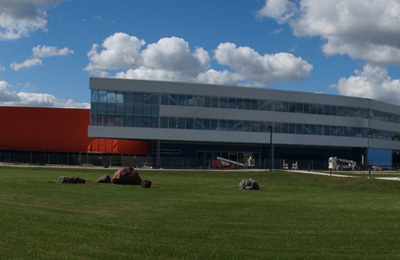 The Illinois Accelerator Research Center, or IARC, is a new accelerator research facility funded by the state of Illinois and currently being built at Fermilab. At IARC, scientists and engineers from Fermilab, Argonne National Laboratory and Illinois universities will work side by side with industrial partners to research and develop breakthroughs in accelerator science and translate them into applications for the nation's health, wealth and security. Located on the Fermilab campus, this 83,000-square-foot, state-of-the-art facility will house offices, technical areas and educational space to study cutting-edge accelerator technologies. Partnerships with industry and academia will make critical contributions to the technological and economic health of Illinois and place the state in a position to become a world leader in accelerator research, development and industrialization. 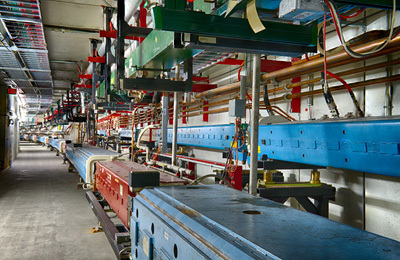 The Fermilab Accelerator Science and Technology Facility, known as FAST, is a test bed for cutting-edge particle beam and accelerator research based on superconducting technology. FAST will be unique in the United States as a particle beam research facility based on superconducting radio-frequency technology, on which nearly all proposed future accelerators in the world are based. Fermilab is a world leader in the research and development of future particle accelerators, contributing to the design and exploration of the next generation of machines. These accelerators, each with its own specialty, would open new windows into our universe, allowing us to view it from as yet unexplored vantages. Learn more about a few of the world's future accelerators. A beam of particles is a very useful tool. It not only lets us peer inside an atom, it can target a tumor, cure inks, clean power plant emissions and someday even transmute nuclear waste. The impact of particle physics is perhaps most widely felt in the development of the World Wide Web and in the superconducting wire and cable at the heart of magnetic resonance imaging magnets. But particle physics has myriad lesser-known applications. Selected examples from medicine, homeland security, industry, computing, science and workforce development illustrate a long and growing list of beneficial practical applications with contributions from particle physics. 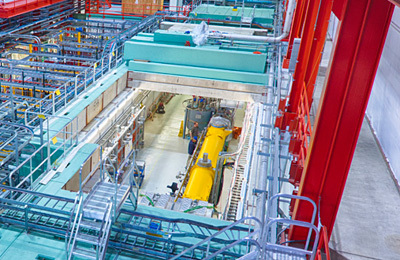 Read about how particle accelerators benefit science and society. For more about accelerator applications, visit Accelerators for America's Future.